On July 31, President Obama signed a law that provides a three-month extension of the Highway Trust Fund (HTF). The Surface Transportation and Veterans Health Care Choice Improvement Act of 2015 came just in the nick of time — the HTF was set to expire on the same day. The last-minute budgetary extension is relevant to more than just contractors working on federal transportation projects. It also calls for the following tax law changes that will affect businesses, estates and individuals. The HTF extension changes the filing due date for calendar-year C corporations from March 15 to April 15 and permits a five-month automatic extension until September 15 for tax years beginning on or before December 31, 2025, at which time a six-month extension of October 15 would be permitted. For C corporations that don’t use a calendar year end for tax purposes, the filing deadline under the HTF extension is the fifteenth day of the fourth month after the close of its tax year. The deadline changes generally go into effect for tax years beginning after December 31, 2015. However, for C corporations with a June 30 year end, the changes aren’t effective until tax years beginning after December 31, 2025. Requiring pass-through entities, such as partnerships and S corporations, to file their returns a month before the personal income tax deadline will help ensure that individuals who own interests in these entities have the requisite information to file more accurate and timely personal income tax returns. “The new structure will provide more accurate information to taxpayers in a more logical flow and reduce the number of extended and amended individual and corporate tax returns that are filed each year,” commented AICPA President and CEO Barry Melancon. The HTF extension modifies the due date for the Report of Foreign Bank and Financial Accounts (FBAR), formerly June 30, to April 15. This modified deadline coincides with the tax filing deadline for individuals. Taxpayers can also ask for the same six-month extension for FBARs that they can get for their tax returns under the new law. Additionally, Congress gave the IRS authority to abate first-time penalties for taxpayers who miss the new April 15 FBAR deadline and don’t formally ask for an extension, as long as they file by October 15. Certain businesses may have an extra incentive to hire veterans under the new law: It allows employers to exclude employees who are covered under the Defense Department’s TRICARE or Veterans Administration’s medical coverage programs from headcounts when determining whether the business is an “applicable large employer” under the Affordable Care Act (ACA). Generally, businesses that have at least 50 full-time employees or the equivalent during the preceding tax year are considered to be applicable large employers. Under the ACA, such employers are responsible for offering full-time employees and their dependent children “minimum essential” health care coverage that meets certain additional standards and must meet certain health care information reporting requirements. These employers may be subject to substantial penalties if just one full-time employee receives a tax credit for buying coverage through a health care marketplace. Address of the property (or other description for properties without postal addresses). The expanded mortgage reporting requirements go into effect for statements furnished after December 31, 2016. The HTF extension explicitly requires large estates that are required to file an estate tax return to also report the fair market value of property at the owner’s death. Such disclosure would provide consistency between property values reported for gift and estate tax purposes and the basis in property reported for future income tax purposes. The goal is to prevent heirs from understating their tax liabilities when they later sell inherited assets. This change is effective for estate tax returns filed after July 31, 2015. Statements of fair market value must be furnished to the IRS by the earlier of 1) 30 days after the date the estate tax return is required to be filed or 2) 30 days after the estate tax return is actually filed. Any understatement of tax liabilities due to the overstatement of basis under this provision would be assessed a 20% accuracy-related penalty. Important Note: On August 21, the IRS issued Notice 2015-57, which delays the due date for filing these returns with the IRS or furnishing statements to beneficiaries until February 29, 2016. It applies to each return or statement that would otherwise be required to be filed with IRS or furnished to a beneficiary before Feb. 29, 2016. The delay will give the IRS extra time to issue guidance on consistent basis reporting between estates and the people acquiring property from a decedent. Generally, the IRS can go back only three years from the filing date (or the tax return due date) when assessing income tax liabilities. However, an exception applies when a taxpayer “omits from gross income” an amount greater than 25% of the amount of gross income reported on the tax return — then the IRS can go back up to six years. The HTF extension clarifies that an understatement of gross income caused by an overstatement of unrecovered cost (or other basis) is an omission of gross income that’s subject to a six-year statute of limitations. The change effectively overrides the U.S. Supreme Court’s decision in Home Concrete & Supply LLC that an overstatement of basis isn’t an omission of gross income subject to the six-year statute of limitations (S. Ct. No. 11-139). The HTF extension gives businesses four more years to transfer excess pension plan assets from ongoing defined benefit plans to retiree health plans and group term life insurance accounts. Previously, businesses had until 2021 to make these transfers. Now the transfers must be completed by the end of 2025. The highway fund is set to expire again on October 29. In the meantime, Congress hopes to enact a long-term highway fund extension that may be funded by additional tax law provisions. Contact your tax adviser for more information on the tax-related provisions of the Surface Transportation and Veterans Health Care Choice Improvement Act and any future transportation funding legislation. The rules for required minimum distributions (RMDs) can be bewildering, frustrating and potentially expensive to retirement savers and their beneficiaries. Taxpayers subject to required minimum distributions (RMDs) have until December to calculate and schedule RMDs from qualified plans and IRAs. It’s not unusual for people to wait until the last moment to take RMDs. So long as the proper RMD is taken prior to the end of the year, you’re in compliance with the rules. However, to minimize the possibility of error by missing the deadline, it may be safer to take your RMDs in advance of December 31. This will give you plenty of time to make any necessary corrections before the end of the year. And taking — or not taking — RMDs can have a substantial impact on your tax liability. Distributions generally will be taxable at your ordinary-income rate (not your lower long-term capital gains rate) unless they’re from a Roth account. And the penalty for not taking your full RMD on time is severe: 50% of the amount you should have withdrawn but didn’t. Here are the answers to 20 common questions to help you navigate the mandatory distribution rules and minimize any negative tax consequences. An RMD is the amount you’re legally required to withdraw from your qualified retirement plans and IRAs after reaching age 70 1/2. Essentially, the tax law requires you to tap into your retirement assets — and begin paying taxes on them — whether you want to or not. 2. Which Plans Do the RMD Rules Apply To? Slightly different rules may apply to pre-1987 contributions to a 403(b) plan. The rules also cover traditional IRAs and IRA-based plans, such as SEPs, SARSEPs and SIMPLE-IRAs. But there are exceptions in certain, limited circumstances. 3. Do the RMD Rules Apply to Roth Accounts? The RMD rules also apply to Roth 401(k) accounts. However, they don’t apply to Roth IRAs while the original owner is alive. So one way to avoid RMDs on your Roth 401(k)s is to roll over the account assets to a Roth IRA. After your death, however, beneficiaries of your Roth IRA must take RMDs under the same rules that apply to traditional IRAs. As it is a Roth IRA, the distributions are tax-free, however. 4. When Must I Start Taking RMDs? The required beginning date for RMDs is generally April 1 of the year after the year in which you turn age 70 1/2. For example, if you turn 70 on June 1, 2015, you must begin taking RMDs no later than April 1, 2016. The first year is the only year you can take an RMD after the close of the year for which it applies. 5. When Must I Take RMDs in Succeeding Years? The deadline for taking subsequent RMDs is December 31 of the year for which the RMD applies. Therefore, if you turn 70 1/2 in 2015, you must take your RMD for the 2016 tax year by December 31, 2016, in addition to taking your 2015 RMD by April 18, 2016. To reduce overall tax liability, you might take the first RMD in 2015 instead of taking two RMDs in 2016. 6. How Do I Calculate the Annual RMD? Single Life Expectancy Table. This table applies if you’re the beneficiary of the account. To illustrate, suppose you’re a single 80-year-old with an account balance of $100,000 at the end of the previous year. Using the Uniform Lifetime Table, the distribution period for an unmarried, 80-year-old account owner is 18.7. Thus, you would divide $100,000 by 18.7, resulting in an RMD of $5,347.59. 7. Can I Withdraw More Than the Required Amount? Yes, there’s no restriction against excess distributions. You can take out as much as you want as long as you satisfy the minimum standard. 8. Can I Apply an Excess RMD to a Future Year? No, an RMD is calculated based on the account balance and life expectancy factor for that particular year. 9. Must I Take RMDs from All Qualified Plans and IRAs? Although you must calculate the RMD separately for each IRA you own, you can withdraw the total amount from just one IRA or any combination of IRAs that you choose. The same rule applies to 403(b) plans. However, for all other qualified plans, the RMD must be taken separately from each plan account. 10. Will My Plan or IRA Administrator Ensure My RMD Is Made on Time? Although a plan or IRA administrator may provide the information or do the calculation for you, it’s ultimately your responsibility to take the RMD for the applicable tax year. 11. How Do I Estimate the RMD Penalty? The penalty is equal to 50% of the amount that should have been withdrawn, reduced by any amount you withdrew for the year. For example, if you were required to withdraw $10,000 and took out only $2,500, the penalty is $3,750 (50% of $7,500). In addition, you must still take the RMD. The penalty is in addition to any other tax you owe on the RMD. Penalties are the responsibility of the account owner, not the plan. 12. How Do I Estimate the Income Tax on an RMD? Generally, distributions are taxed at ordinary income rates. But any amount attributable to a return of basis from a traditional or Roth account or a qualified distribution from a Roth account is tax free. 13. Are There Any Exceptions to the RMD Penalty? The penalty may be waived if you can show that the shortfall was due to reasonable error and you’re taking steps to remedy it. To qualify for this relief, file Form 5329 and attach a letter of explanation. Your tax adviser can help draft this letter to demonstrate why your situation qualifies for an exception. 14. Are RMDs Subject to the NIIT? Distributions from qualified retirement plans aren’t included in net investment income for purposes of the 3.8% net investment income tax (NIIT). However, RMDs will drive up your modified adjusted gross income, which could trigger or increase NIIT liability on your net investment income. 15. Can I Still Contribute to a Qualified Employer Plan or IRA if I Take RMDs? RMDs don’t affect your eligibility for retirement plan contributions. So, if an 80-year-old employee is still working and participating in a qualified employer plan, his or her employer must make contributions on the individual’s behalf and give the employee the option to continue making salary deferrals if the plan permits them. Otherwise, the employer’s plan could lose its qualified status. You can’t contribute to a traditional IRA after age 70 1/2 under any circumstances. 16. Do I Have to Take RMDs If I’m Still Working? 17. Can I Roll Over an RMD to another IRA or Tax-Deferred Retirement Plan? No, rollovers are strictly prohibited. Allowing retirees to roll over RMDs to another retirement account would defeat the intention of the mandatory distribution rules. 18. Can I Donate RMDs to Charities? In the past, you could transfer up to $100,000 directly from an IRA to a charity without paying tax on the distribution. But this tax law provision expired December 31, 2014. Under the current rules, if you wish to donate your RMD to a charity, you’re taxed on the distribution at ordinary income tax rates, and then you may deduct it as a charitable contribution. There’s been some discussion in Congress lately about possibly reinstating the rule. If you’re interested in donating your RMD to charity, contact your tax adviser about any recent developments later this fall. 19. What Happens If I Die Before RMDs Have Begun? No distribution is required for the year of death. For subsequent years, RMDs must be taken from inherited accounts. A spousal beneficiary has greater flexibility than a nonspousal beneficiary, including being able to treat the account as his or her own. Generally, the entire amount of the owner’s benefit must be distributed to the beneficiary who is an individual either (1) within five years of the owner’s death, or (2) over the life of the beneficiary starting no later than one year following the owner’s death. 20. What Happens If I Die After RMDs Have Begun? The beneficiaries of the accounts must continue to take RMDs under a complex set of rules. Again, spousal beneficiaries have greater flexibility than nonspousal beneficiaries. Important Note: The beneficiary of a deceased owner of a retirement account can be subject to tax penalties if he or she fails to comply with the post-death distribution rules. If a retirement account owner dies mid-year, the beneficiary may be unaware that the owner has passed away before taking his or her full RMD for the year. Other complex rules may apply if there are multiple non-spousal beneficiaries or if a trust is the beneficiary of a retirement account. Contact your tax professional for guidance if you inherit an IRA or other retirement account assets. The mandatory distribution rules for qualified retirement plans and IRAs are complex and may change under Congressional tax reform measures. In the meantime, you can minimize your tax liabilities and preserve more assets for your heirs with careful planning. Contact your tax professional to customize the optimal plan based on your individual retirement and estate planning goals. As more members of the Baby Boomer generation arrive at retirement age, the Social Security system will become even more strained. 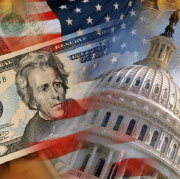 Why is the Future of Social Security Uncertain? Social Security is basically a “pay as you go” system, with today’s workforce paying the benefits of today’s retirees. There is presently a surplus, which is invested in special-issue Treasury Bonds to help pay future obligations. But as the population of retirees grows, the SSA foresees problems down the road unless the current system is changed. Here’s why: Currently nearly 41 million retirees and their dependents receive Social Security benefits. For each retiree, 2.8 members of the workforce are paying into the system to support current benefits. By 2033, the Social Security Administration estimates the number of older Americans will rise from today’s level of 46.6 million, to over 77 million. And the number of workers for each Social Security beneficiary will drop from 2.8 to 2.1. Unless there are changes, annual costs will likely exceed income starting in 2017, and the program assets will be exhausted by 2040. Possible solutions include gradually raising payroll taxes (from the usual rate of 15.3 percent to 17.78) and eventually reducing benefit levels by up to 30 percent. In spite of the fact that Social Security was never intended to be more than one leg of the three-legged stool, for most beneficiaries, it represents the biggest part of their retirement funding. 52 percent of married couples and 74 percent of unmarried individuals rely on the benefits for at least half of their income. 22 percent of married couples and 47 percent of unmarried individuals rely on Social Security for more than 90 percent of their incomes. Unfortunately, many people are wondering … who’s going to pay and who qualifies for benefits? 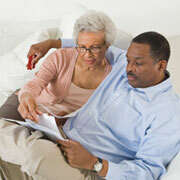 Does your marital status affect the amount of Social Security you can collect? In some ways, yes. For example, suppose a spouse’s estimated benefit is considerably lower than her husband’s. She is entitled to receive payments based on her own record, or 50 percent of her spouse’s benefit, whichever is higher. Assuming your monthly amount is $1,600 and your spouse’s is $700, he or she is entitled to draw benefits equal to half of your amount, or $800. In fact, even if your spouse has never worked, at full retirement age he or she can collect an amount equal to half your benefit. Is entitled to his or her own retirement or disability benefit. To qualify, your former spouse must meet the above requirements, must not have applied for benefits on his or her own record and must have been divorced from you for at least two years. The maximum payment a former spouse can receive is 50 percent of the amount you would receive at full retirement age. In addition, benefits are only payable to your former spouse as long as he or she remains, or becomes, unmarried. Important point: The amounts paid to your former spouse will not affect the benefits paid to you or other family members who receive benefits based on your record. If you have a pension through your job, will those payments reduce your Social Security benefits? The answer depends on whether or not the work that generated the pension was subject to Social Security taxes. If Social Security was not withheld from your paycheck, your pension payments probably will reduce your benefits, under the 1983 Windfall Elimination Provision (WEP). Work that falls into this category may include civil service (federal, or some state and local), and employers outside of the United States. The WEP was passed to prevent people who paid less Social Security taxes from collecting unfairly high benefits in addition to their pensions. The amount of reduction will depend on how many years you worked without paying Social Security tax and when you expect to retire. The ability of future retirees to collect Social Security benefits depends on numerous factors, some on a national scale, such as the pending retirement of the enormous Baby Boomer generation. Other factors are more personal, like marital status. This underscores the point that no one should rely on these payments for all or most of their retirement income. The Social Security program has been described as one leg of a “three-legged stool,” the other two legs being personal savings and other retirement plans. When you consider that the average monthly benefit check today is just over $1,000, it’s clear these payments are meant to be a foundation, rather than the makings of a cozy nest. That’s why ensuring a comfortable retirement has to be a matter of personal responsibility guided by the wise counsel of a trusted financial adviser. Social Security Card. A Social Security card may be used to open credit card accounts and take out loans. This is tantamount to handing the keys to the kingdom to a thief. For seniors, this also includes your Medicare card since that has your Social Security number on it. Multiple Credit Cards. Carry a single card for general use and emergencies. Only carry another card if you plan on using it that day. Keeping all those cards at home will save you considerable time in reporting lost cards and disputing charges. Gift Cards and Certificates. They’re like cash. Keep them home until you’re ready to use them. Spare Keys. Your wallet or purse contains your home address. No sense making the theft worse by endangering your home and family. USB Drive. This is very convenient for carrying important files, but it’s gone forever, if your wallet or purse is lost or stolen. Password Cheat Sheet. Carrying passwords runs the risk of them falling into the wrong hands. You don’t carry your cheat sheet? How about those ATM PINs? That’s a sure way to lose cash fast. Checks. Carrying around a blank check is an obvious risk. Even a cancelled check is a risk since it has your routing and account numbers, which may be used to transfer cash. Receipts. Besides being bulky, they will contain the last five numbers of your credit card number. A thief might “phish” to find the rest of these numbers. Passport. A thief could use this to travel under your name, open bank accounts, or even get a Social Security card. Not good. Business Cards. Consider a separate case and carry in your pocket. Do you really want a thief to know where you work? Some individuals believe that the return on investment shouldn’t be the only criterion for how they invest their money. For them, the social impact of investing is just as important—perhaps, more important. More than $3.7 trillion is managed under sustainable and responsible investing principles.¹ This includes mutual funds, endowments and even venture-capital funds. Amounts in mutual funds are subject to fluctuation in value and market risk. Shares, when redeemed, may be worth more or less than their original cost. Mutual funds are sold only by prospectus. Please consider the charges, risks, expenses and investment objectives carefully before investing. A prospectus containing this and other information about the investment company can be obtained from your financial professional. Read it carefully before you invest or send money. Whatever term is used, the investment discipline is usually characterized by a set of principles that govern how investments are selected. One widely used framework includes environmental, social and corporate governance criteria (ESG). These ESG criteria of good corporate governance, positive environmental impact and responsible community involvement are a guide for making investment selections, akin to other investment-related criteria, for example, price/earnings ratio or revenue growth. Investor experience with socially responsible investing will vary. As with any mutual fund or exchange-traded fund, they are subject to fluctuation in value and market risk. Shares, when redeemed, may be worth more or less than their original cost.